SIMEC Atlantis Energy is a global sustainable energy generation company. We are involved in the design, development, construction, conversion, installation, completion, testing, commissioning, operation, and maintenance of power projects around the world. We deliver world-class renewable project development strategies using our internationally renowned transaction team. Our intention is to own and operate sustainable power generation assets and create sustainable, long-term revenue streams for our shareholders. We also have a turbine and engineering services division, which designs, supplies and maintains world-leading tidal turbines and subsea connection equipment. HE SIMEC ATLANTIS ENERGY MISSION IS TO BECOME ONE OF THE WORLD’S LARGEST INDEPENDENT GENERATORS OF SUSTAINABLE ENERGY. WE WANT TO BE A CATALYST FOR A NEW ERA OF TURBINE MANUFACTURING IN THE UNITED KINGDOM AND PLAY A KEY ROLE IN THE TRANSITION OF THE ENERGY MARKET FROM HYDROCARBONS TO RENEWABLES. Safety. Environment. Tenacity. Innovation. Respect. Our people are our most valuable asset and their health and safety comes first, always. Our highest priority is making sure that all work sites are safe and we guide our people to ‘do it safe or don’t to it at all’. The ocean is a virtually limitless source of renewable energy generation and we have a great responsibility to make sure that in harnessing that energy we cause no harm to the surrounding environment. We take this responsibility very seriously. We work with a number of leading environmental agencies to monitor key areas such as water quality, the behaviour of diving birds, the noises our turbines make underwater and the impact on marine life. We don’t give up. Ever. Like all companies, we have had setbacks, but this only strengthens our resolve. We are pioneers in our industry and when faced with a challenge we will always seek to learn from mistakes, find a solution and make the most of the opportunity. At Atlantis, we have had to pioneer out of necessity. We have created new markets, new projects, new customers and helped forge a new industry, globally. We have created world leading intellectual property and created new rules to govern a new asset class. At Atlantis, we understand the value of what respect is – for co-workers, stakeholders, project partners, the supply chain, our regulators, the environment and investors. It is those relationships, built out of respect, that enable us to be leaders in our field. Atlantis originates and develops greenfield marine power projects all around the world. Not only can we take the role as lead developer but we also work with consortiums to secure development rights for marine power projects. Recently, Atlantis has led the consolidation of the tidal power sector in Scotland. We are the majority owner of Tidal Power Scotland Limited (“TPSL”), the HoldCo that owns all phases of the MeyGen project as well as other leading projects such as the Sound of Islay, Ness of Ducansby, Brough Ness and the Mull of Galloway. We have recently welcomed ScottishPower Renewables and DEME Concessions as co-investors in TPSL. We have also been awarded agreements for lease from The Crown Estate for exciting project sites in Northern Ireland and England. Atlantis is the majority owner of the largest consented tidal stream project in Europe, MeyGen. Atlantis is also developing a berth at the Fundy Ocean Research Centre for Energy in Nova Scotia, Canada with project partner, DP Energy. In India, Atlantis has identified more areas of tidal resource and has been working with Gujarat Power Corporation Ltd to complete the concept design and consenting for a 200 MW project in the Gulf of Kutch. We are actively exploring project opportunities in China and Indonesia and we are constantly searching the globe for new development opportunities to add to our portfolio of greenfield and brownfield projects. Atlantis, a global leader in the tidal power sector, is in negotiation with the Duchy of Lancaster as its preferred developer for the proposed Wyre Valley tidal barrage and flood protection project. The Project would be chiefly situated on the Duchy estate between Fleetwood and Knott End on the Lancashire coast. Atlantis and the Duchy will now enter into a period of negotiation to reach agreement regarding an option for a long-term lease for the proposed site to permit the development of a tidal power scheme with a proposed installed capacity of 160 MW. It is currently predicted that the Project will be capable of producing almost 300 GWh of sustainable energy each year, coupled with flood protection capabilities. It is expected that the process of obtaining all necessary consents to begin development will take approximately three years, but this option agreement would give the necessary rights and access for the majority of the required land. Atlantis will now work with its development partners, supply chain and investors to progress the Project. “The Wyre Valley tidal barrage and flood protection project represents a hugely exciting opportunity to showcase the UK’s world leading commercial tidal energy potential. We believe that the Project will help to stimulate the local economy in Fleetwood, bring wider benefits to the region, and represent a cost-effective option for clean, large scale domestic power production. 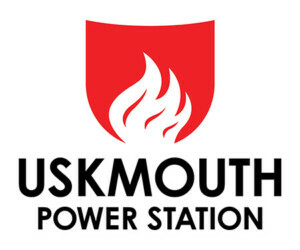 SIMEC Uskmouth Power Station is a 363-megawatt Coal Fired Power generation plant in South Wales, UK. It is intended that 220 MW of capacity at the Plant will be converted to use an end-of-waste energy pellet as fuel. The converted Plant, which is intended to enter commercial operations in 2020, will sell all its power under two 20 year power purchase agreements (“PPAs”) to GFG Alliance companies, and will receive fuel under a proposed 20 year fuel supply agreement (“FSA”) with a joint venture company to be partly owned by a Liberty House Group company and partly owned by Dutch recycling group N+P Group BV (“N+P”). Atlantis Resources Limited acquired the Power Station in 2018. In return, SIMEC Energy aquired a 49.99% share of Atlantis, which was renamed SIMEC Atlantis Energy Ltd becoming part of the GFG Alliance. John joined Unipart Group of Companies from General Motors in 1974 and set out to establish a more independent and broadly based role for what was then British Leyland’s Parts Division. In 1987 he led the management buyout of the company and began the process of changing not only the culture of the company but also the whole philosophy by which the business was run. He was formerly a Director of the Court of the Bank of England and a Non-Executive Director of the Royal Mail, Charter International plc and Rolls-Royce plc. John was appointed Prince’s Ambassador for the South East for 2009 by HRH The Prince of Wales. Timothy acquired a combination of academic, practical and commercial experience before taking the role of Chief Executive Officer of Atlantis in 2006. He accumulated a wealth of engineering and concept development experience through previous roles in underwater research and subsea engineering in the oil and gas sector with Submarine Escape and Rescue Service (Australia), Subsea Offshore, Halliburton Subsea and Subsea7, as well as business development and corporate accountability experience through director and executive roles. Tim has a BSc in Marine Biology from Flinders University, an MBA from Bond University and remains a fully certified submersible engineer, ROV pilot and commercial diver. Andrew Dagley joined the Company in early 2014 from IFM Investors, a global fund manager with around A$100 billion under management, having previously worked with a range of superannuation infrastructure investors, renewable energy project developers and Flinders Corporate Finance, a boutique investment bank. Andrew has been the Chief Financial Officer of Atlantis since 3 August 2017 and has over 12 years of experience in infrastructure investment with an emphasis on renewable energy, having worked on a range of wind, solar, hydroelectric and biomass projects in Australia, Brazil, Chile, China, India and the UK. He has a Bachelor of Commerce (Hons) Finance from the University of Melbourne. Jay Hambro is currently Chief Investment Officer of the GFG Alliance and Chief Executive Officer of Mining and Energy at SIMEC. Jay leads the GFG Alliance’s global investment and development programme and sits on the Strategy Board. Jay’s day-to-day role at SIMEC is focused on its worldwide development in clean power generation and a global portfolio of mining operations. After graduating in business management, Jay began his career in resource finance with NM Rothschild & Sons, before moving to the investment bank of HSBC, advising multinational mining groups. He then joined what is now the Petropavlovsk plc group in a business development role and later as Chief Investment Officer before spearheading the development of their industrial commodity divisions as Aricom plc and more recently at IRC Limited. He led IRC as Executive Chairman to the successful development, construction and operation of a number of greenfield mining operations in the Russian Far East delivering industrial commodity products across the border to China. In 2016 he relinquished his executive responsibilities to assume the position at the GFG Alliance. Jay has held a number of other Board positions and remains a Non-Executive Director of Cellmark AB, the Swedish headquartered pulp, paper, packaging and recycling business. He is a Fellow of the Institute of Material, Mining and Metallurgy and a Liveryman of the Worshipful Company of Goldsmiths. Mark Elborne was President and Chief Executive Officer at GE UK and Ireland, General Electric Company, from 2009 until his recent retirement in 2018. GE is one of the largest industrial manufacturers globally and in the UK has over 18,000 employees in over 50 industrial sites. Mark’s key focus was leading GE’s UK and Ireland based businesses in the energy, aviation, oil and gas and healthcare sectors, working closely with customers and governments. Mark joined GE in 2004 as Executive Vice President and General Counsel of GE Insurance Solutions. From 2006 to 2009 he was General Counsel and Head of Regulatory in EMEA. Prior to GE, Mark was a partner at CMS Cameron McKenna (now CMS Cameron McKenna Nabarro Olswang LLP) from 1988 to 2004. He qualified as a solicitor in 1983 after gaining a degree in History and Politics from Exeter University, and was admitted to the Missouri Bar in 2004. John Woodley joined the Board on 22 September 2008. He was then co-head of the power and gas-related commodity business for Europe and Asia at Morgan Stanley. He founded the very successful US electricity trading operations for Morgan Stanley in New York in 1994, after having worked as a power plant operator and then industrial marketing engineer in the utility sector. After ten years with Morgan Stanley in New York, John moved to London to help build the electricity and electricity-related energy business outside the US. John is now based in Switzerland and acts as a senior adviser to Morgan Stanley. John has a BSc Eng (Elec) from Wits University, Johannesburg, an MBA from Valdosta State University and an MS in Finance from Georgia State University. Breakfast News - ECI Telecom, Auxico Resources, Path Investments..
Watchstone Group: more like a millstone for Bombed Out portfolio?